The Association of the U.S. Army’s LANPAC Symposium and Exposition in Honolulu, focused on land forces and land power in the Indo-Asian-Pacific Theater, wrapped up May 25 even as Army leaders in Washington, D.C., warned Congress that readiness problems remain. 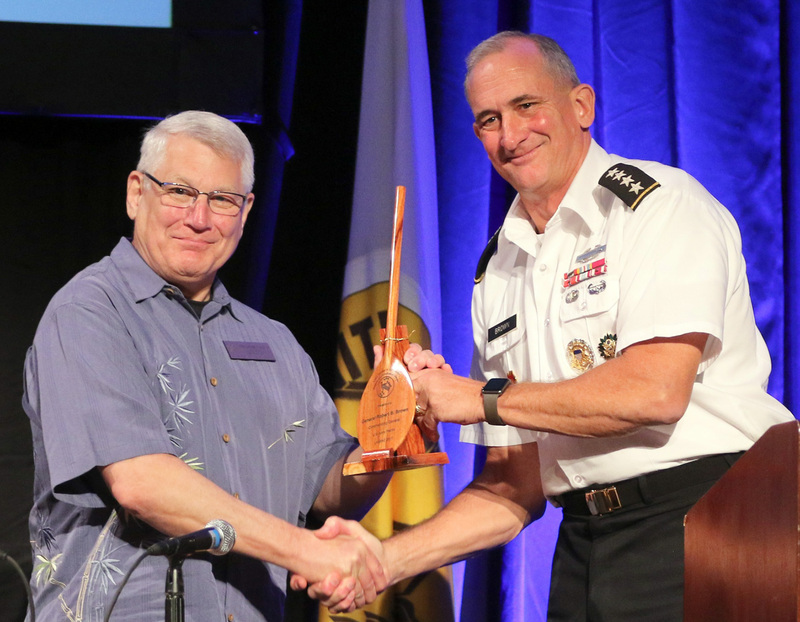 More than 1,700 people attended the three-day Pacific forum, hosted by the AUSA’s Institute of Land Warfare, including 400 industry exhibitors. This is the fifth year for the event, one that brought military representatives from 30 countries including the chiefs of staff of nine armies. Harris called LANPAC an “impressive” event and thanked AUSA and U.S. Army Pacific for organizing the discussion. Gen. Robert Brown, the U.S. Army Pacific commander, called LANPAC “incredibly productive” and important because it takes joint and multinational efforts to address security issues in the theater. “I’m declaring that this is the best LANPAC ever,” Brown said. On the final day, discussion centered on maximizing the force through cooperation, collaboration and new ways of training. Retired Lt. Gen. In-Bum Chun, a former South Korea special warfare commander, said the phrase “things are lost in translation” can mean a lot to militaries. Overcoming the translation problem involves understanding the meaning of words and their intent, he said. Brig. Gen. Suzanne Vares-Lum, the U.S. Army Pacific modernization assistant to the director of strategic plans and policy, said the Indo-Asian-Pacific Theater is complicated because of its size, history and complexity, making joint exercises and training an important way of maximizing capabilities. A pilot program is being created for midcareer soldiers who can get training and academic credit for learning more about the region. Called the Regional Leader Development Program-Pacific, it includes leadership, theater-specific information and cultural studies. Those taking the entire course would also take part in cultural immersion. As LANPAC was concluding, back in Washington, D.C., Acting Secretary of the Army Robert Speer told the Senate Armed Services Committee that the $166 billion Army budget proposed for fiscal 2018 will help, but not fix, everything because the Army remains busy. “The pace of operation is as high as it has been in the past 16 years,” he said.